Several scientists of the VA Natural History Museum in Martinsville made themselves available during the behind the scenes open house for the Virginia Master Naturalist Conference. 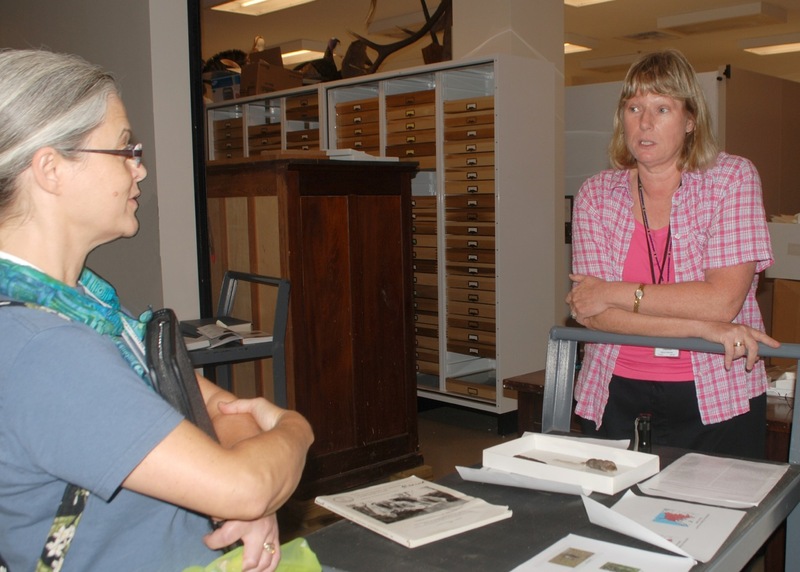 Nancy Moncrief, Curator of Mammals, showed the results of her research on squirrel skeleton identification of both ancient and modern specimens. Nancy Moncreif, Curator of Mammals, Squirrel researcher and Master Naturalist, Mary McLean, a squirrel enthusiast. Paleontologists could not tell the difference between the grey squirrel and fox squirrel species. 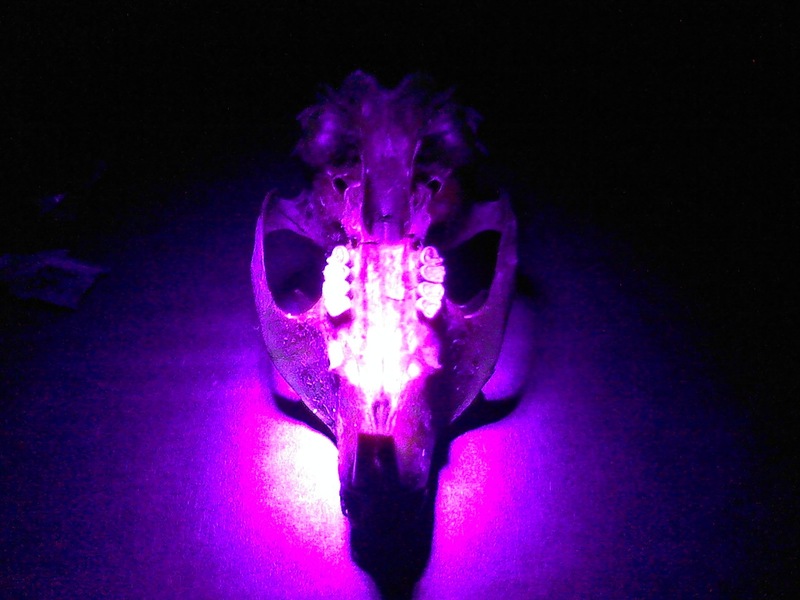 Nancy found that fox squirrels phosphoresce under ultra-violet light. What a great image for Halloween! The Phosphorescent Fox Squirrel. The grey squirrel bones do not phosphoresce.